If you're looking for the Unity Blog Hop, click HERE! 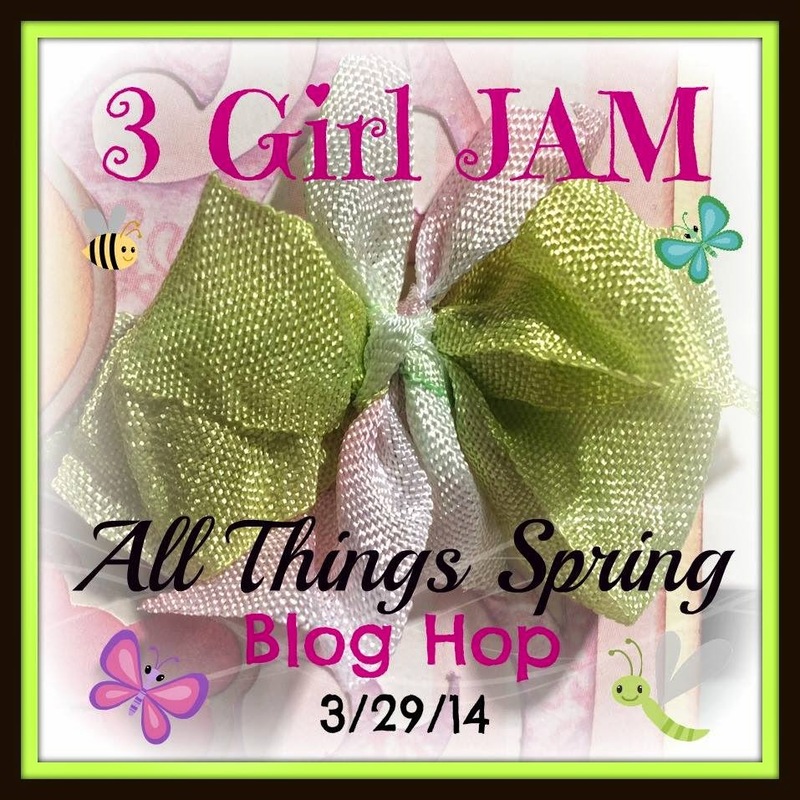 Looking for the 3 Girl JAM "All Things Spring" Blog Hop? Click HERE! I haven't been on the Sunday Sketch & Stamp team for too long, but the blog has been going for quite some time. In fact, today is a celebration of sorts. Today starts the 200th sketch, and therefore, the 200th challenge for the blog. Woah! That's a lot of sketches, challenges, cards, entrants, and prizes. 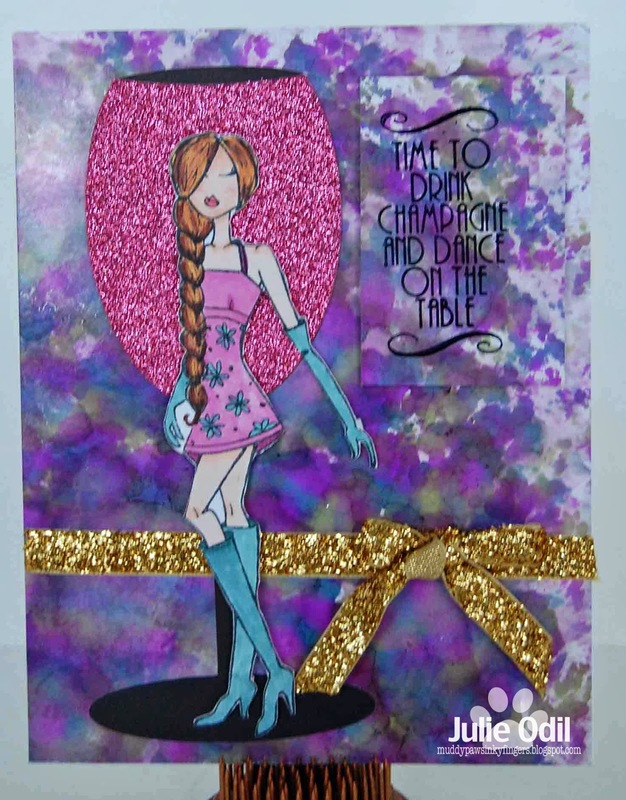 Congratulations to Marie, the mastermind behind the Sunday Sketch & Stamp challenge blog. Here's the line up for the hop -- it's the current team, some past members, and a few surprises. You need to hop along and visit everyone on the list to see what they've created with any of our past 199 sketches, and make sure you leave a comment at each stop because there are some hidden prizes along the way!! For this challenge, we can use any of the past 199 sketches to work with. Plenty to choose from, for sure. 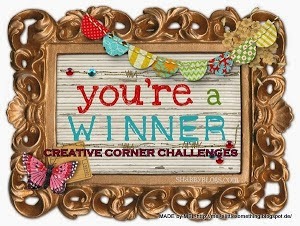 The papers were won as a door prize at my local scrapbook store at Crop Night. I've been saving that cloud paper for a project just like this one! The image and sentiment are by Unity Stamp Co. 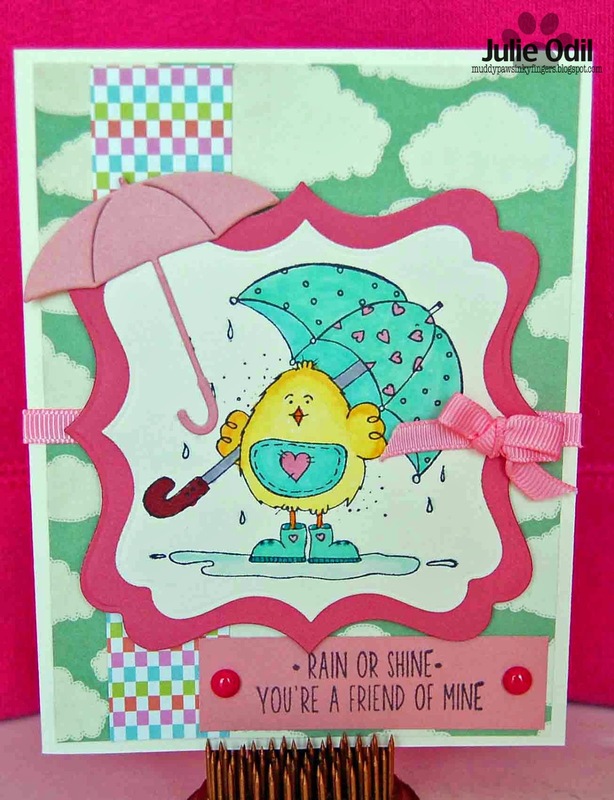 It's an Itty Bitty Stamp called, appropriately, "Chick in the Rain". I colored it with Copic markers. I used a Spellbinders label die in 2 different sizes. The umbrella is a die by Memory Box. The ribbon is from Really Reasonable Ribbon. I hope you join us at Sunday Sketch and Stamp. With 200 choices, you should find plenty of sketches that appeal! as well as some mystery prizes!!!! You've got to be in it to win it!! There are 3 prizes hidden along the way which could be won by anyone who leaves a comment - but no one knows where the prizes are, so you must make sure you visit and comment on everyone's blog. Then there are another 3 prizes for everyone who joins in with the 'Any past sketch challenge'. So - if you join in with the hop and the challenge, you could win more than one prize!! Now, I'm sending you on to the talented Kathleen's blog. Have fun hopping! 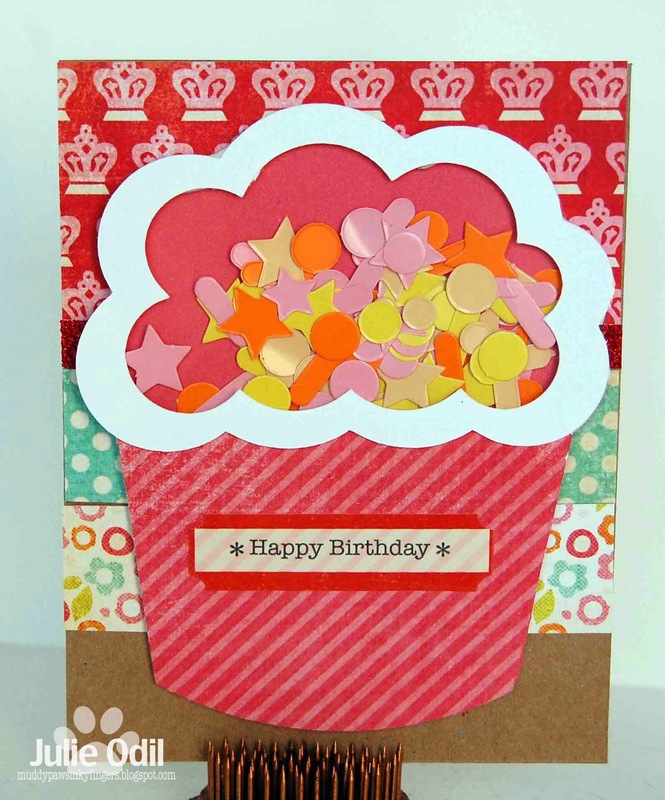 Growing in Unity Blog Hop -- Too Sweet! 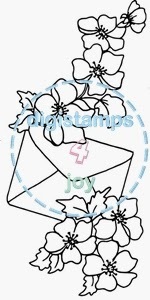 Looking for the Sunday Sketch & Stamp Birthday Hop? Click HERE! I was sooo excited when I was asked if I wanted to hop with some other Growing In Unity girls today. Having a whole week to play with Unity stamps is great fun. Getting a bonus day, out of the blue, was a wonderful surprise! We were all given this coming week's Unity Stamp of the Week to work with. 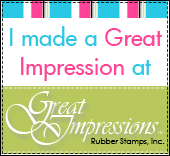 You'll see 7 different takes on the same stamp -- fun idea! I started out making my shaped card. It is a cutting file from The Cutting Cafe. You can find it HERE. The papers are from October Afternoon, and are actually Christmas papers, but I liked the colors for a strawberry. After I got the shaped card assembled, I stamped the berries image on watercolor paper. 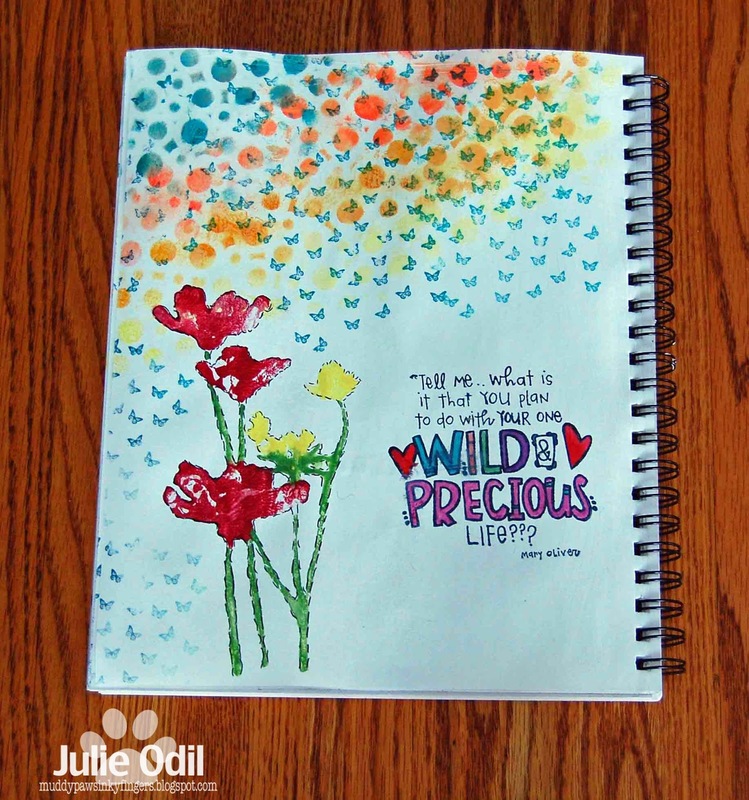 I used my Tim Holtz distress markers and water, with a paint brush, and painted the berries. I stamped the sentiment directly on the DP. A little embellishing with 3 Girl JAM ribbon and some bling from Close To My Heart, and my card was complete. Before I send you off hopping, I want to offer you a little blog candy. I am a Unity Stamp of the Week member, so I will get 2 of these stamp sets. 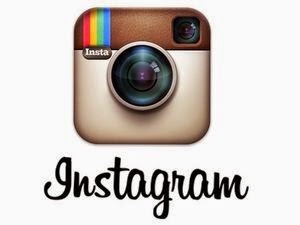 If you would like one for yourself, please follow my blog. In your comments, tell my that you would like the set, and I'll include you in the drawing. I'll announce the winner next Friday at Friends With Flair. Now off you go to the fabulously talented Karen's blog. You'll love what she did with this set! The whole 3 Girl JAM team is hopping today. We're introducing a new ribbon bundle, and kicking off a new month-long challenge. In case you just stumbled across the hop, you'll want to start at the 3 Girl JAM blog. 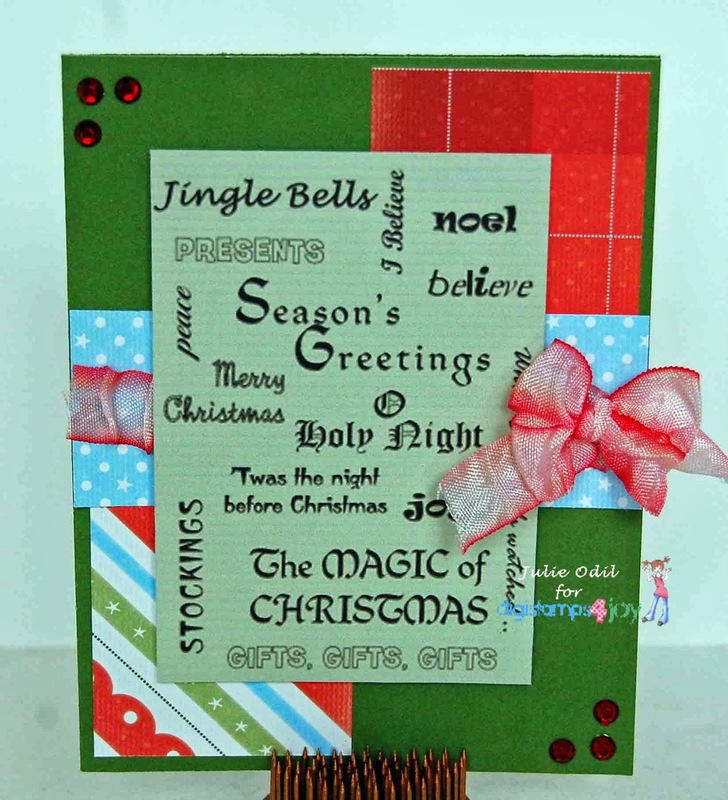 You should have arrived here from the talented Marji's blog. I know you've found tons of inspiration along the way from this fantastic 3 Girl JAM team. I've been making many thank you cards lately. This is one of them that I gave to a good friend who helped me out over and over again after my father recently died. She's been my rock. I wanted it to be spring-like, yet subdued. I used both colors in the new 3 Girl JAM LG Bundle (lemon lime and grey gray) There's also some lace peaking out under the gathered gray, from the Distressed Lace bundle. Here's a close up of the sentiment. All the stamps are from Unity Stamp Company. Want to see a close up of the Flair button? It ties the whole card together, doesn't it? That beautiful Flair button is also from 3 Girl JAM. There's lots of great choices in the Thank You Flair assortment. The button matched the "Good Day Sunshine" We R Memory Keepers" paper to perfection. I have a little blog candy I'd like to offer you today. I love this design team and the products I get to design with. 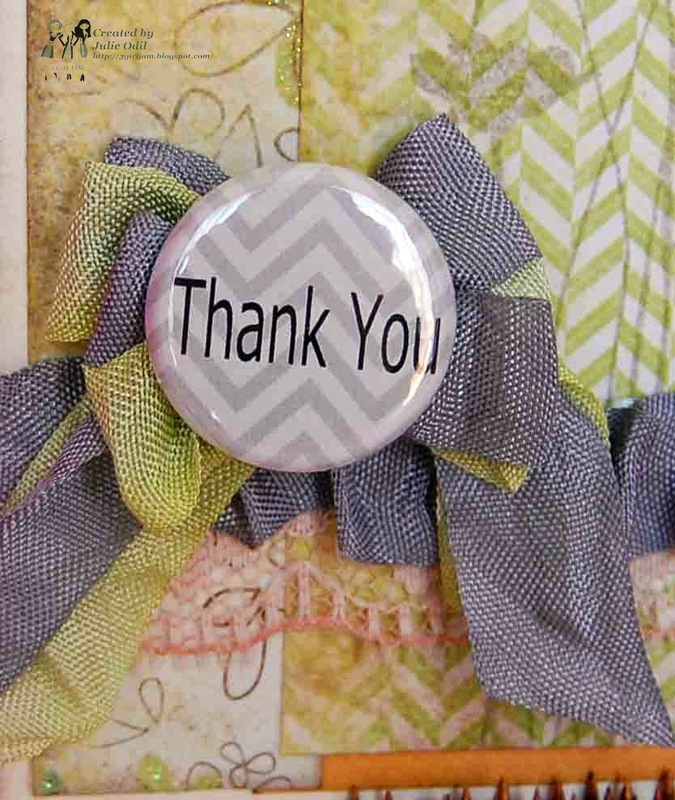 If you'd like some of it for yourself (some ribbon, a Flair button, some vintage buttons), follow my blog and leave a comment. That's all you have to do to win. 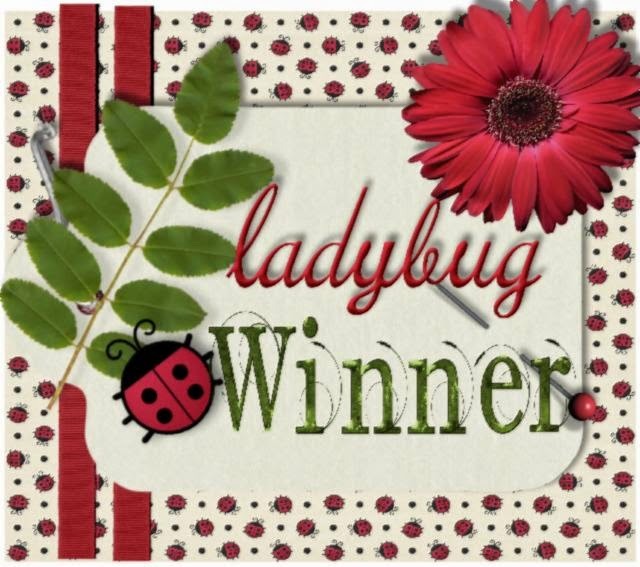 I'll announce the winner on Thursday, April 3 -- my day to post on the 3 Girl JAM blog. Want some ribbon, Flair, lace, and other goodies of your own? Use coupon code SPRING25 at check out for your chance to save 25% on everything! Before you hop on to the beautiful and talented Jessica's blog, I want to remind you all to check out the 3 Girl JAM blog for your chance to win a prize. 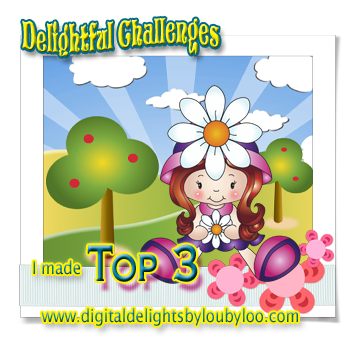 Also, visit the 3 Girl JAM Challenge blog for our current challenge, "All Things Spring". You have the month of April to make anything spring related, with ribbon and link up. The rules are on the blog. OK, hop ON! It's Friday, and it's Friends With Flair, Yea! I love Fridays. I love Unity's Friends With Flair. 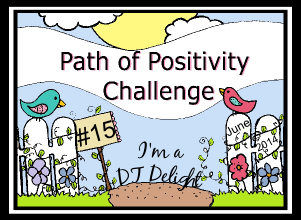 I have some much fun checking out everyone's blogs for inspiration. 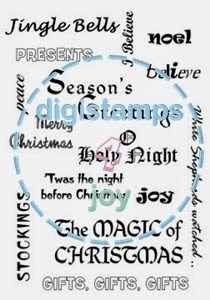 How can there be so much talent and so much inspiration with this group of stampers? 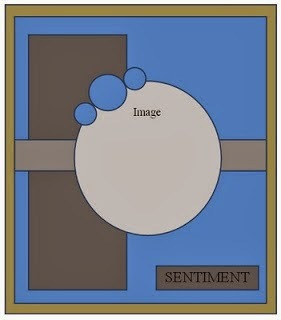 Both cards use the Unity Stamp set, Insightful Meadows. 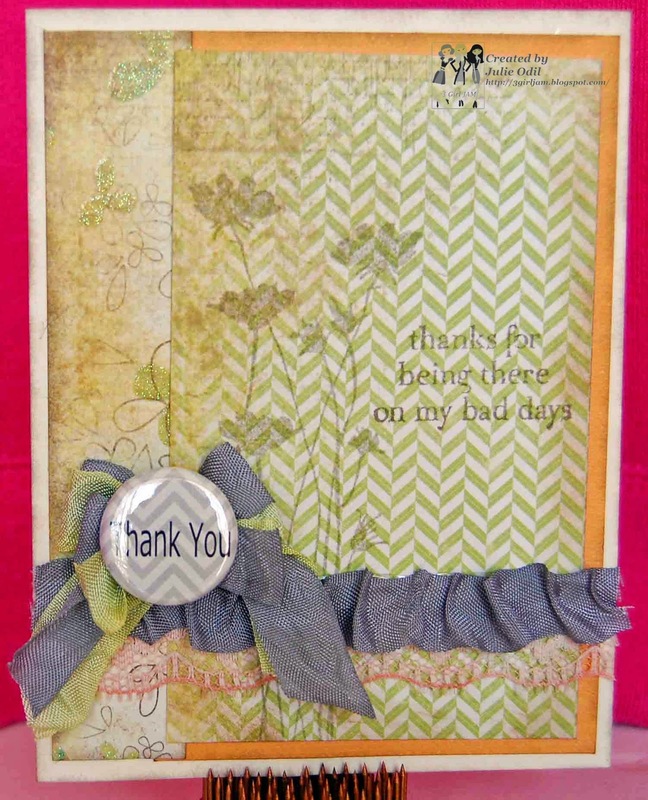 The sentiment is from On Vintage Wings, also from Unity Stamp Company. I also planned on mailing both cards, so wanted to keep them flat. This first one, I used two similar colors of ink, and did some second generation stamping. On the second card, I used some Marvy Uchida stamp markers that I've had for several years and had never used. Now I'm wondering why I haven't. I loved them and the watercolor look I got with them. I definitely have to get those markers out more often. Thanks for looking at my 2 CAS cards. Have a great weekend! 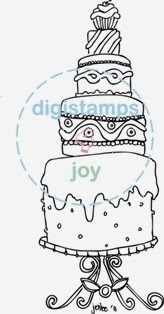 It's time for some mid-challenge inspiration at DigiStamps4Joy. 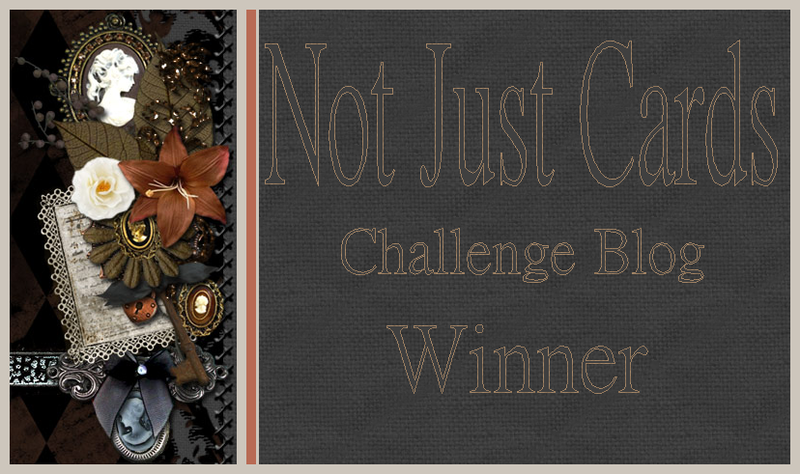 The challenge theme is Vintage. I don't often make vintage cards, so I thought long and hard about this before I started. Once I got going, I had a great time. 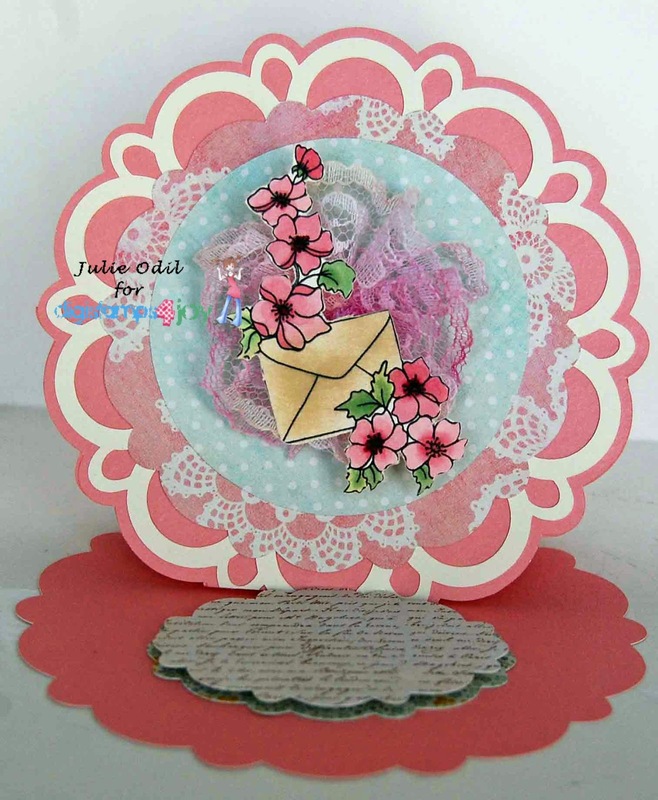 I used the Floral Letter digi stamp to create my vintage card. I colored the digi stamp image with Copic markers on the flowers. For the envelope, I swiped it with Tim Holtz distress ink in Old Paper. Then, I fussy cut it. 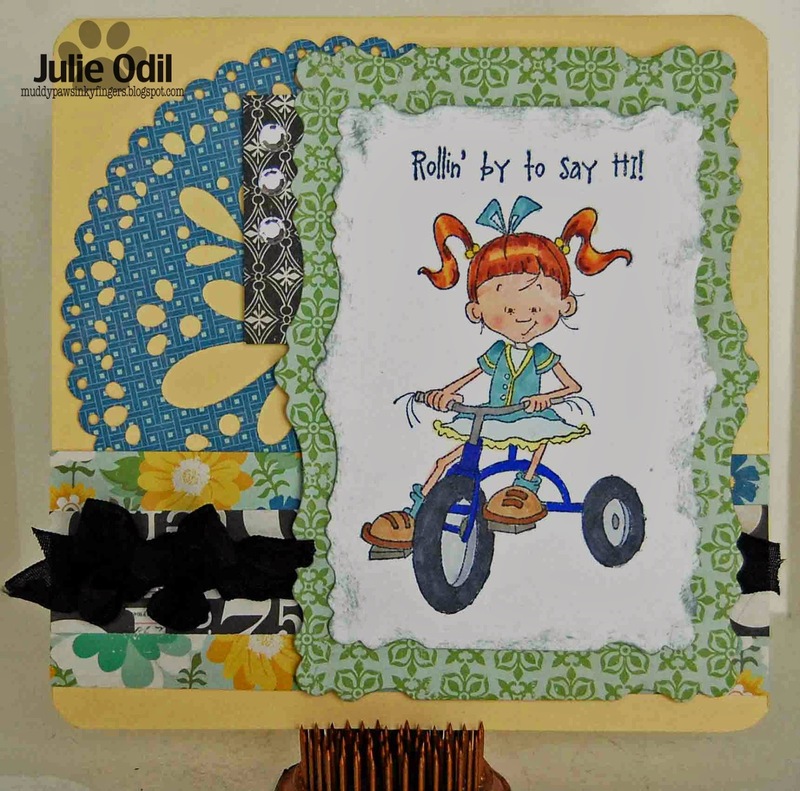 The Frills easel card is a cutting file from My Scrap Chick. The digi stamp is mounted on a lace flower I created using 3 Girl JAM lace from the new Light & Bright bundle. I hope you enjoyed my vintage card for challenge #88. Make something yourself, and come link up with us! You have until April 2, when another challenge starts. Spring is taking it's sweet time about coming here in NW Wisconsin. It was below zero again last night. But I'm being positive and thinking spring. 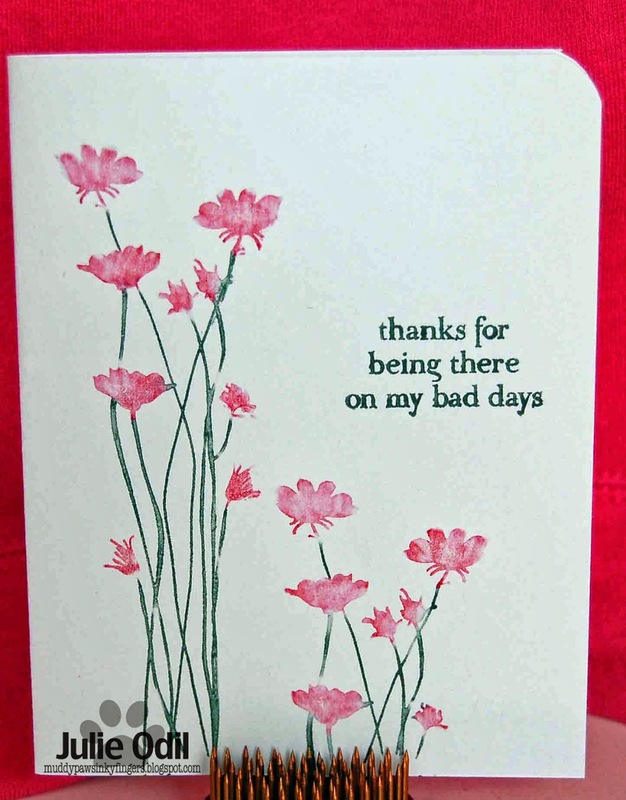 SENTIMENTS STEMS AND FLOWER TOPS PRINTABLE STAMP SET. I usually choose the cutting files, when given a choice, but I decided to challenge myself and use the Sentiments Stems & Flowers printable stamp set. It's has tons of options and was great fun to work with! I printed one of the many stems that come in the set, and one of the many flower options. I used a 1/2 inch circle punch on the flower, and glued it to the button. I used a small heart punch to make the leaves on the flower. There's also some 3 Girl JAM lace and ribbon on the card. The papers are by Close To My Heart. They are the Ariana Paper pack. I feel warmer already! Don't forget to visit The Cutting Cafe blog each Thursday. Leave a comment for your chance to win 3 sets of your choice. You'll want this this set, for sure! It uses a 3/4 inch Pinque Peacock fabric covered button. It is from the Pinque Hope Bundle. The lamb treat box is a cutting file from My Scrap Chick. 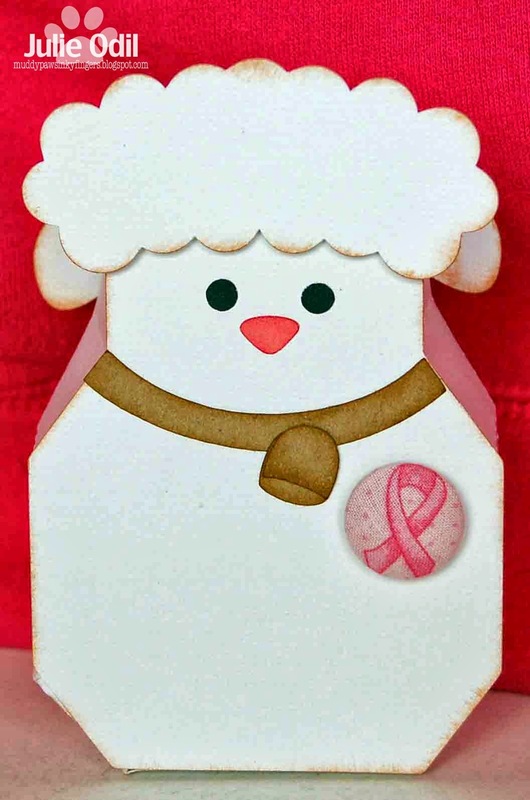 It's one of 5 cute designs in their Spring Paver Favor Treat Boxes and cards set. It's the perfect size to hold some chocolates, gift card, or other small present. Now, get crafting and link up. You have until Mar 30! 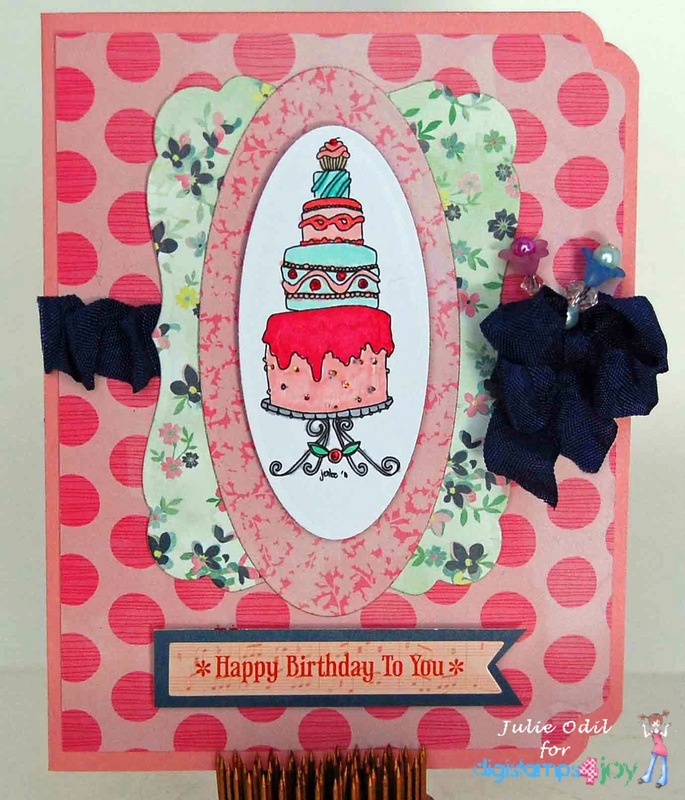 Mixed Up Media Chix Birthday Blog Hop -- and Friends With Flair! Hello, everyone, and happy Friday! 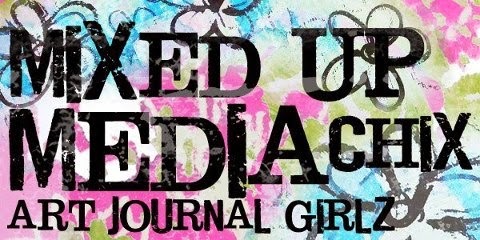 You should have arrived here from the beautiful and uber talented Tracy's blog. I've always been one to just "go with it" and not follow directions very well. It was AFTER I got my piece ready for today that I remembered it was supposed to be a birthday themed hop. Oh well. I'm the artist. And not very good at directions! But hey, I'm going to tie it all together, I promise! Back on July 9, 1930, a very special man was born. That same special man died on March 11, 2014. This art journal page is in his memory. My father lived his 83 years to their fullest, making many friends and touching many lives. I think this quote describes him well. He LIVED all of his wild and precious days. He didn't just exist. 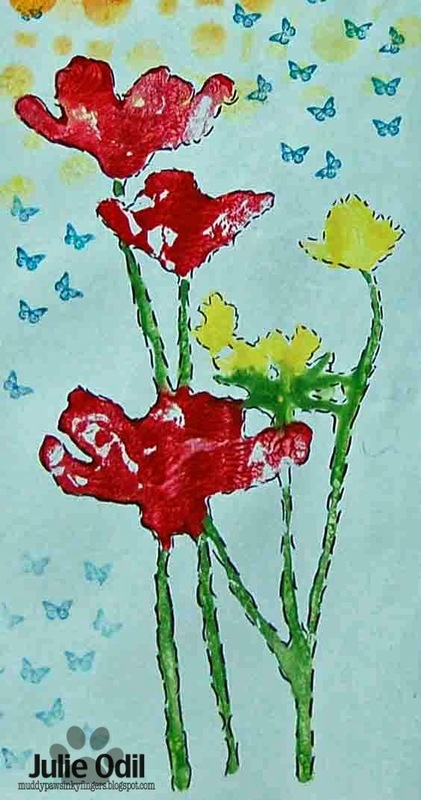 I included some poppies on this page because red was his favorite color. He wore it often, and whenever he bought flowers for my mother, they were always red. Plus, he was the one in the family with a green thumb. See all those butterflies? He's there, finding his way to heaven, watching over me as he goes. Into the rainbow cloud. This is the last photo I have of my Dad. It was taken 4 days before he died. He was always smiling and joking. I'll miss that smile! All stamps used are by Unity Stamp Company. I used acrylic paints, a Studio Calico mask, Faber-Castell Pitt pens, and a variety of Tim Holtz distress inks. I'd like to leave you with the eulogy I gave at my father's funeral last Saturday, but I realize not all of you may want to read it, so here's the link to the talented Sally's blog if you'd like to hop ahead. First, I want to thank you all for coming. Our dad was such a humble man. He would have been so surprised at the number of people here today. I remember his 80th birthday party. He was so nervous beforehand, thinking no one would come. I reminded him that he and mom’s 50th anniversary had over 300 guests. His response, “they were all there because of your mother.” As I said, he was a very humble man. Dad had a great sense of adventure, and was a bit of a daredevil. He passed this on to his children. We were both waterskiing on the front of his skis by age 3, and by the time we were 4, we were on our own. Mom, who was not so adventurous, had many frightening moments through the years watching her children climb trees, scale cliffs, run marathons, complete Ironmans. We both got that from our father. Dad loved to ride his bike. He was riding 20 and 30 miles a day well into his 70’s. He finally stopped after he crashed one too many times, but he missed it terribly. That’s when he started walking. Even last summer, he was walking 2-3 miles each day. People would see him all over the streets of Chetek, pushing his walker, smiling and waving, sitting down when he got tired. I got many phone calls of people checking on my dad, making sure I knew he was so far from home, or asking if I would pay his tab later for the coffee he had just charged. Oh the joys of living in “small town Chetek”. Dad had a green thumb, and took great pride in his yard. He and his neighbor in Eau Claire, Bob, had quite a competition to see who’s yard was greener and who’s was the most perfectly mown. He loved his yard and spent hours watering, fertilizing, and mowing it. He loved to sing. He sang in choirs for years. He enjoyed his years in the E.C. Male Chorus, and the Hope Lutheran Choir. One of the hardest things he gave up was the choir at Hope. He was a member for over 50 years, and took great pride in the bass section. In closing, I want to share one of my most special memories of Dad. Not too long ago, while riding with me in the car, he turned to me and said, “You know, Julie, I feel bad.” “Why?” I asked. “Some nights I fall asleep before I get my prayers finished.” Well, that just touched me. “Some nights, I fall asleep before I finish my prayers.” Wouldn't this world be a better place if we all fell asleep while praying? Thank you, Dad, for the many lessons in life you taught me. Thanks for hanging until the end, my blog friends, now off to Sally's blog. Enjoy the hop! Spring begins today. Soon, once the roads are free of snow and ice, I will get out my bike and begin riding to work. It's the first sign of spring in our house. It's also the inspiration behind this card. I used a Kraftin' Kimmie image and sentiment on this card, Echo Park papers, and 3 Girl JAM Tuxedo ribbon from the Celebrations Bundle. She's colored with Copic markers. I smudged some Tim Holtz distress ink around the edges to make it look just a little "muddy". I used several Spellbinders dies, and a Lifestyle Crafts doily die. Think Spring! It's the first day of Spring: time for long walks, a little gardening, and bike rides. Well, at least it should be. But we still have about 2 feet of snow on the ground so it'll be awhile yet. But I'm hopeful. I used some retired papers from Close To My Heart that I've been hanging onto for a project just like this. I bought them several years ago for their bicycle/vintage theme, and I still like them. The stamp is a Unity Stamp Company Stamp of the Week, "Live Your Dream". That piece of really great jute ribbon? It's from 3 Girl JAM. I used some Tim Holtz distress inks on the stamped image. Then, I layered various papers behind it using Spellbinders dies. 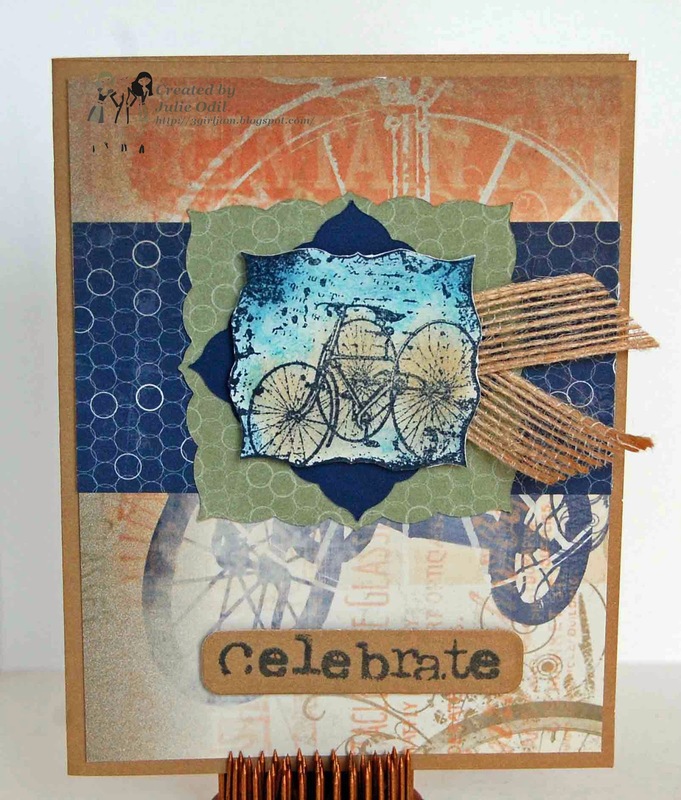 The "celebrate" sentiment is a retired CTMH stamp. I hope you liked my vintage/birthday/spring themed card. It was very fun to make! Need some of that jute ribbon for yourself? Use coupon code JO10 at checkout for 10% off ANYTHING in the store. Yeah. That's a good deal! St. Patrick's Day may be over, but I'm thinking green. So is the whole team at The Cutting Cafe this week. Any set can be used, as long as it features green. I had so much fun with last week's shaker card, and the set has so many fun ones to try (13! ), so I was a shake, shake, shaking again this week. 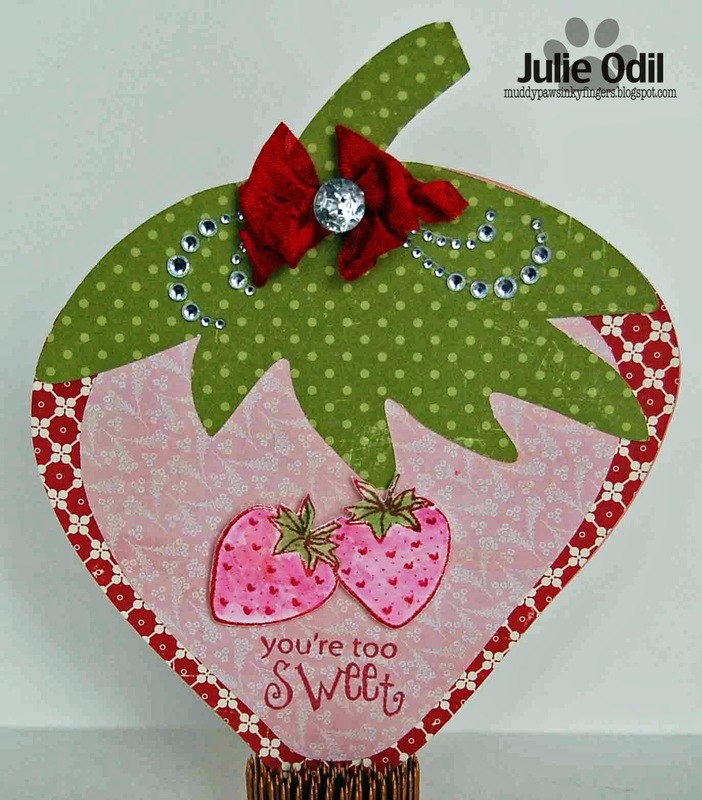 I started with a Close To My Heart Sweet Leaf green card base, then stamped the "You're 1 in a million" sentiment on the Pebbles Basics polka dot paper. The shaker was made with another piece of Pebbles paper, and more CTMH card stock in Olive Green. 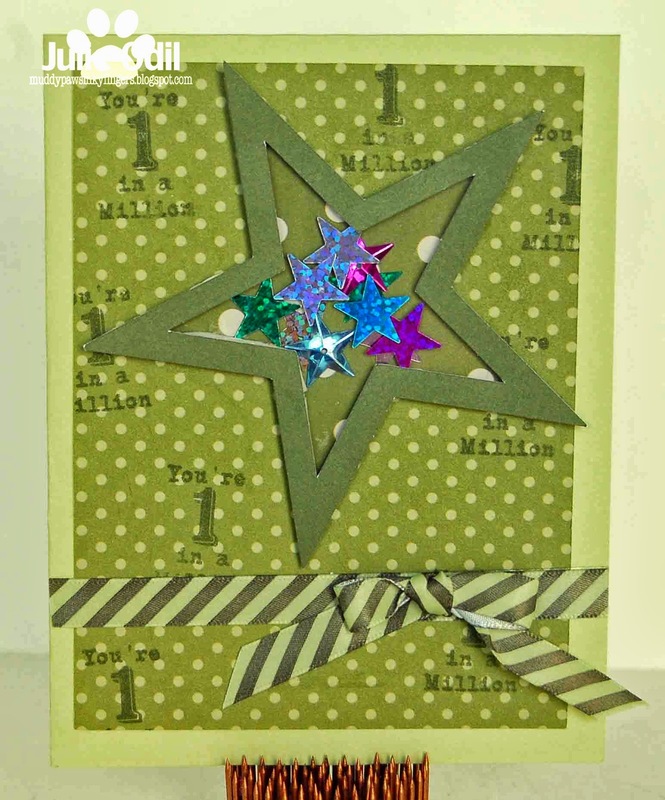 The star confetti is from Bella Creationz. The pickle green ribbon is from Really Reasonable Ribbon. So, keep thinking green. And, you never know. There may be more shaker cards in my future! Spring! It's only 2 days away according to the calendar. But since it was below zero two nights ago, and we're in the middle of yet another Winter storm today, it's really just another day on the calendar where I live. These 3 houses are all files from My Scrap Chick. 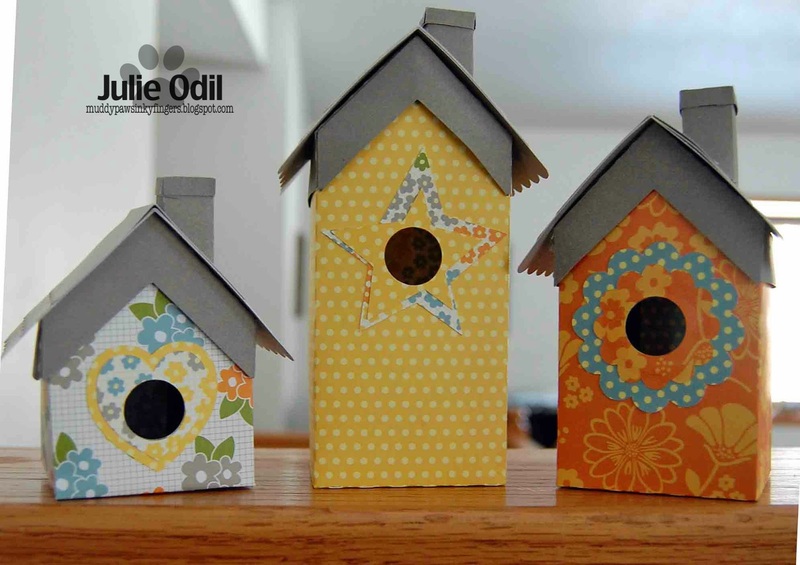 This Birdhouse Trio﻿ set are actually boxes. Each has a lid that pops off to store sweet goodies inside. I used Close To My Heart cardstock in 2 shades of gray on the roof. All the designer papers are by Pebbles. Think Spring! It's coming, right? My Scrap Chick has so many wonderful boxes and bags. This is a Paver Favor Treat Box. It is part of the Spring Paver Favor Treat Box and Card Set. It's the perfect size for holding some chocolates, Easter candy, or a gift card. 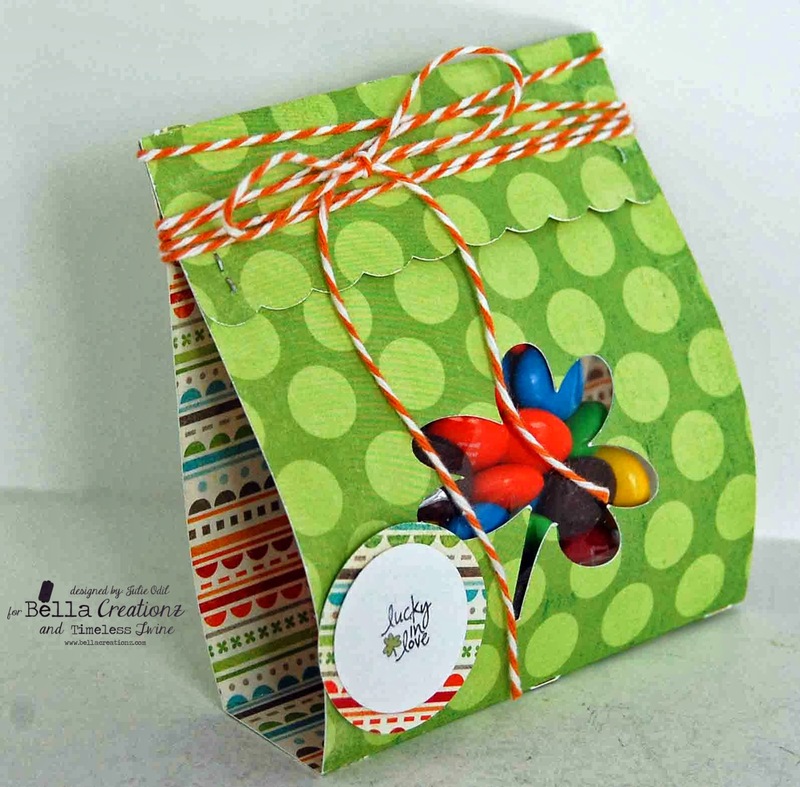 I used all Close to My Heart cardstock for this treat box. I inked the edges of each cut piece with various Tim Holtz distress inks. The pink button is from Pinque Peacock. It is a 3/4 inch fabric covered button, part of the Pink Hope Bundle. 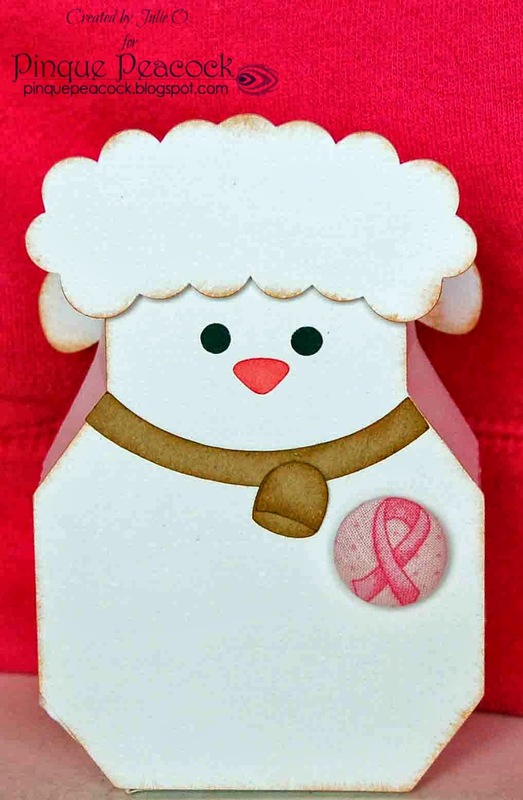 There are 5 paver favor boxes and cards in the My Scrap Chick Spring Paver Favor Treat Box and Card Set: this lamb, a bear, a bunny, a blue bird, and a chick. I hope to make more of these and fill them with goodies this Spring season. 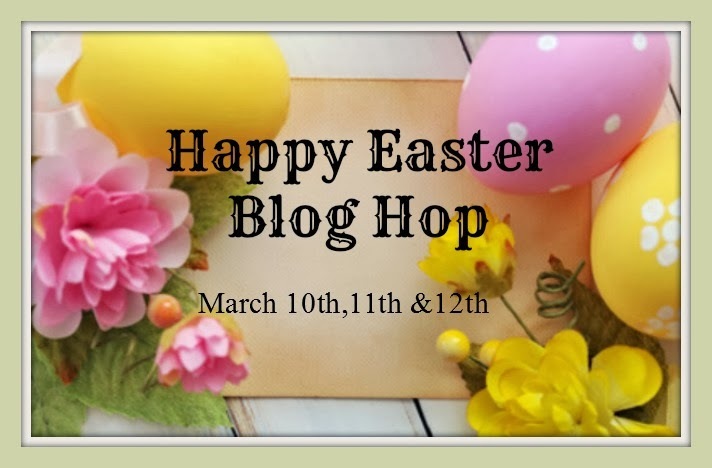 Easter Blog Hop for Pinque Peacock and Friends With Flair! wonderful products that are always available at Pinque Peacock. During this 3 day hop, you will see some past favorites, oldies but goodies, and get a glimpse of some NEW products as well! Feel free to browse the newly updated shop for amazing deals on tons of craft supplies and great handmade embellishments to use in all of your projects! Our Monthly Hops are a great way to see the Pinque Peacock Products in action and to get your creative imaginations in "Full Speed Ahead" mode! We had Olympics at the facility where he lived and I work. He had just taken 3rd place in the walking event. He was very proud of his medal, but a little miffed he was beaten by two women, both older than he was! I will miss his smile and sense of humor very much. He was a wonderful father. This is an Easter hop, and since I know my father has now had the ultimate Easter, it makes this even more special. Here's a card I made using the wonderful Pinque Peacock products. This card showcases one of the beautiful Pinque Peacock fabric swirls. 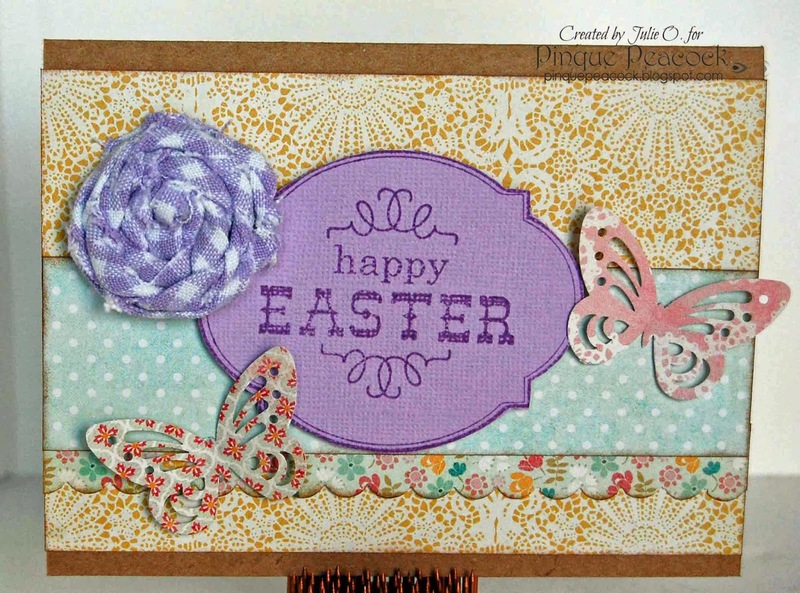 It also has a Unity Stamp Company sentiment kit called, "Everything Easter." Make sure to hop the next 2 days also for more Pinque Peacock inspiration. 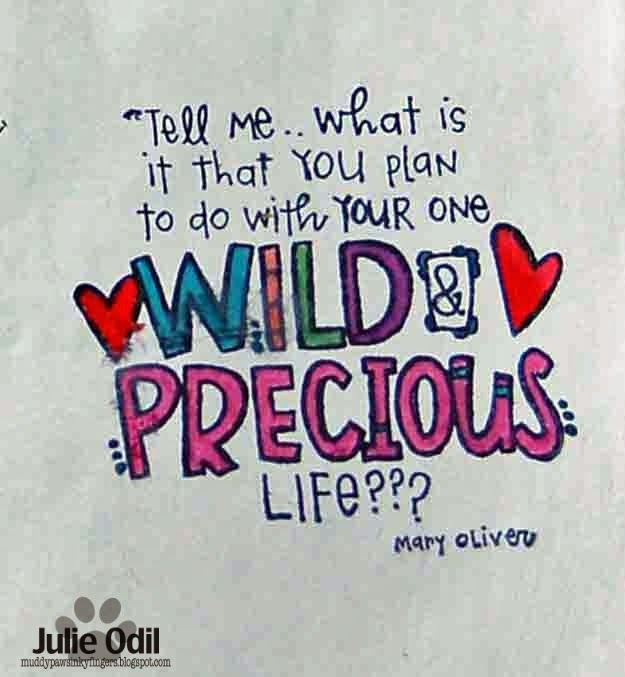 Did you participate in "Julie's Blogoversary Blog Hop" last weekend? 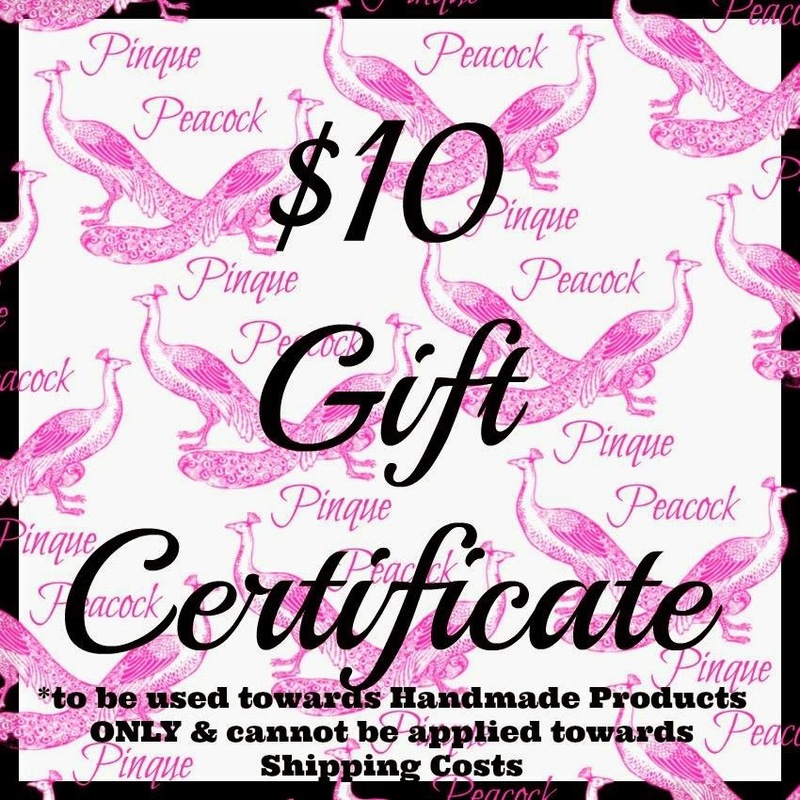 Did you check to see if you won one of the many prizes (including a $15 gift certificate donated by Pinque Peacock!)? Click this link to see if you're a winner. There's still several unclaimed prizes. Pinque Peacock Shop and Fan Page on FB to stay connected! The Hop will remain open until Wednesday, MARCH 19th, at 8:00 a.m. EST. The random drawing will be held sometime during the week that follows and announced by Wednesday, MARCH 26th. Doesn't that cake look yummy? I colored the image with Copic markers, then used lots of scrumptious papers from Basic Grey (Fresh Cuts, 6x6). The sentiment is a sticker I won from a crop night prize at the local craft store -- sorry, I don't know the brand. The ribbon is 3 Girl JAM crinkle ribbon. It's Navy Blue, from the Navy Bundle. The 2 stickpins were a gift from my friend, Randi. There are some Christmas Red Stickles on the cake to highlight some areas, and I used a Copic Spica glitter pen in other spots. Several Spellbinder dies were also used. The Aviary March Challenge "Celebrate"
A Christmas Card (really!) and lots and lots of WINNERS!!!! 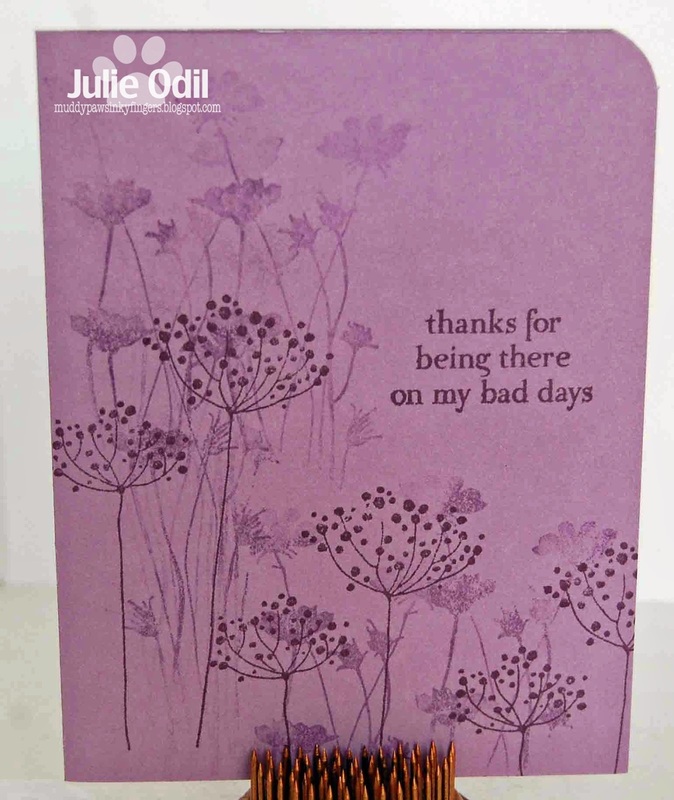 I'm so pleased to be able to announce the winners from Julie's 2nd Blogoversary Blog Hop. I want to thank all my friends who joined the line up, making the hop possible, and all of you who took the time to participate in the hop. I had so much fun! But first, I have a card to share. After all, this is primarily a crafting blog. Enter the challenge, and then get another free digi the following month. This is the first month I've entered, but I hope to do it each month now so I'll have a few cards done BEFORE the busy season this year. If you'd like to enter the challenge yourself, here's the link. I kept the design simple so I can easily duplicate it if I want to mass produce it. I printed the digi out on light green paper at 3 inches and gave it center stage on the card. The card base and background papers are all Close To My Heart. The beautiful ribbon is 3 Girl JAM Ribbon from the "Ribbon Candy" bundle. Now, for all the winners from this weekend's hop. I first want to thank all the many wonderful sponsors. I am overwhelmed with gratitude! Prizes were hidden on blogs throughout the hop. Random.org was used to choose each prize. Ursula Uphof -- $10 gift certificate to the online store of your choice. (I know Ursula lives in S. Africa, and I don't want to mail a package that far. That's it for prizes. Phew! Please email me at julieodil at charter dot net. Or, leave a comment on this post with a way for me to contact you. Any prizes not claimed by March 25 will be re-drawn for. Monday, Monday! I like Mondays! It means I get to post for Timeless Twine! And it's extra special today because it's my first post for My Scrap Chick, too. Yea! You gotta love Mondays! (well, maybe). 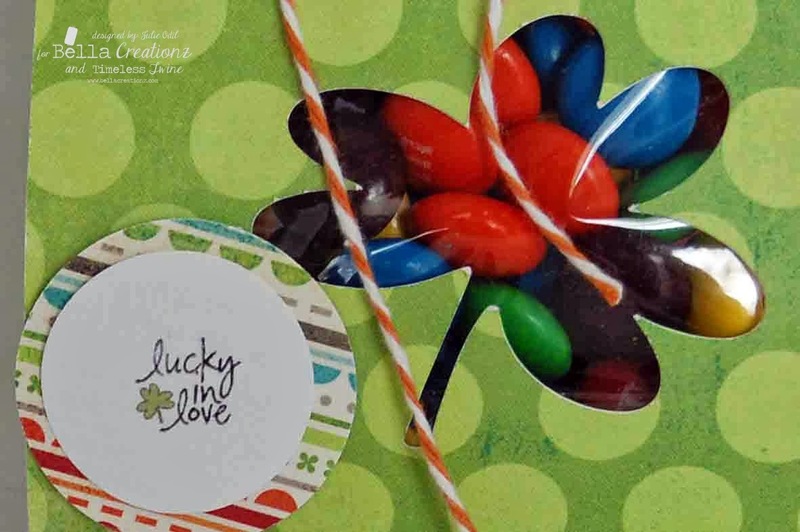 Today, I'm thinking St. Patrick's Day, and an easy treat box you can whip up quick. Now that, you gotta LOVE! This is the "Lucky In Love" Treat Box from My Scrap Chick.I used My Mind's Eye Lime Twist 12x12 paper to cut it out on my Silhouette, making it just a little larger than the original. 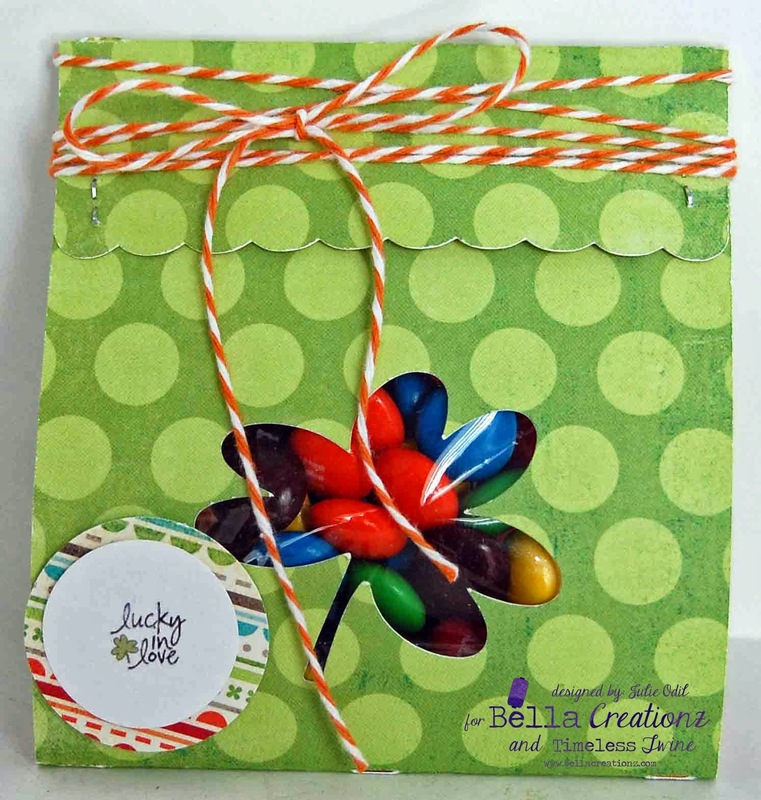 Then, I filled a Bella's Creationz Mini Clear Treat Bag with some sweet treats, printed the sentiment that came with the treat box, stapled the box closed with my trusty Tim Holtz Tiny Fastener, and tied some Pumpkin Orange Timeless Twine around the the scalloped flap. And, of course, it need a big bow, just because. Here's a close up of the sentiment and lucky clover, because I have been lucky in love! This went together very quickly. I plan to make a few, fill them with goodies, and give them to my friends at the nursing home on St. Patrick's Day. Then, they'll feel lucky, too. I have a confession to make. I made a resolution to not buy any scrapbook paper this year. So far, I'm sticking to it. But, I was feeling the need to add SOMETHING to my scraproom. 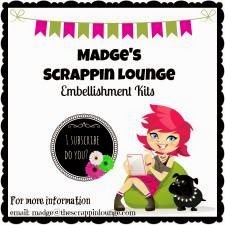 Thank goodness for Scrappin' Madge and her embellishment club! The first month's embellishments arrived last Thursday. I opened them with great excitement....then froze. Everything was for the chalkboard craze. And, since I'm being honest here, I haven't jumped on the chalkboard band wagon. Well, I guess it's time. But, I have no chalk, and every single embellishment said, "just add chalk". Well, well. I'm creative, I thought, "work with it." So I did. I heat embossed the sentiment with white embossing powder, then smeared some white ink around to make it look like a chalkboard. The round button is another embellishment from the kit. And, I had FUN! Now, I'm INTO this chalkboard craze! The Elegant Floral beneath the round button is from Pinque Peacock, made with ribbon from 3 Girl JAM. 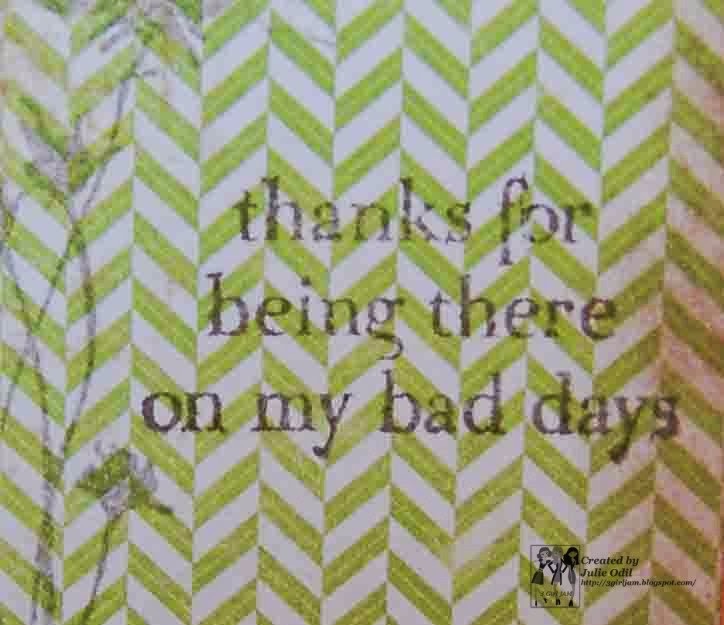 The sentiment is from a Unity Stamp Company sentiment kit, "Forever Friends". Papers are My Mind's Eye 6x6 Collectable "Unforgettable" paper pad. 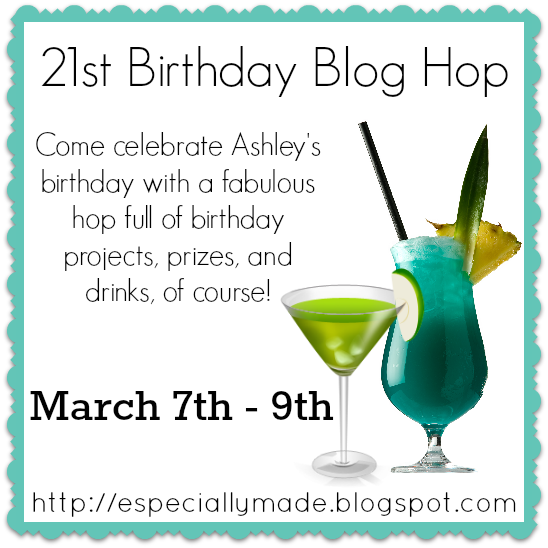 Welcome to Day 2 of Ashley's 21st Birthday Blog Hop! We are so glad you could join us! If you've come from Georgiana's blog, you're in the right place! If you have just come across the hop and would like to start at the beginning, please visit Ashley at Made Especially For You. I'm so pleased to be a part of this hop! Ashley and I became friends through All That Stickles, and have served on several design teams together. Can you believe she's only 21? She's so awesome! I see an incredible future ahead for this motivated lady! 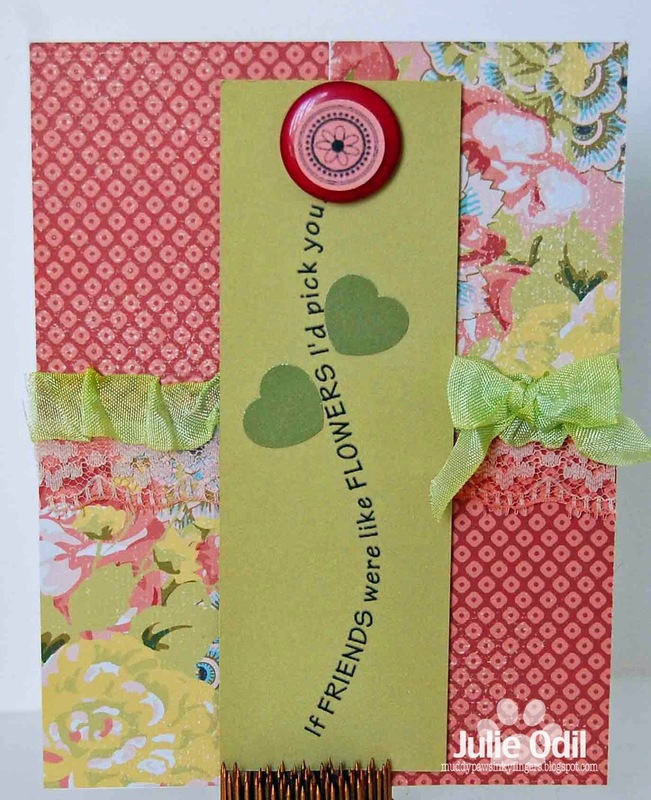 The Fashionista and Sentiment are both from Unity Stamp Company. The wine glass is another cutting file from The Cutting Cafe. I'm the last stop on this two-day hop. Hope you had fun! 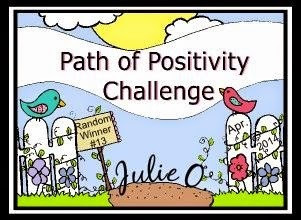 Julie's Second Blogoversary Blog Hop! It's HERE! Take Me Out to the Ballgame?